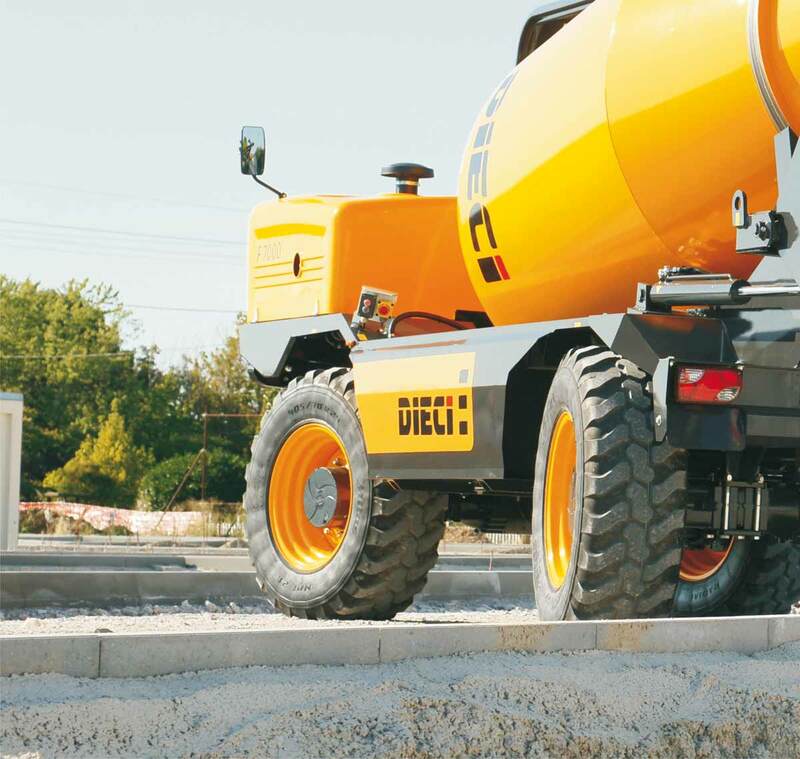 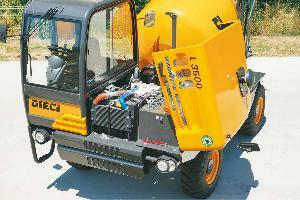 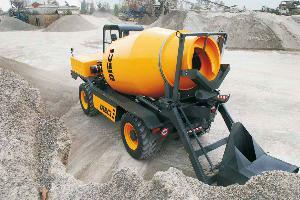 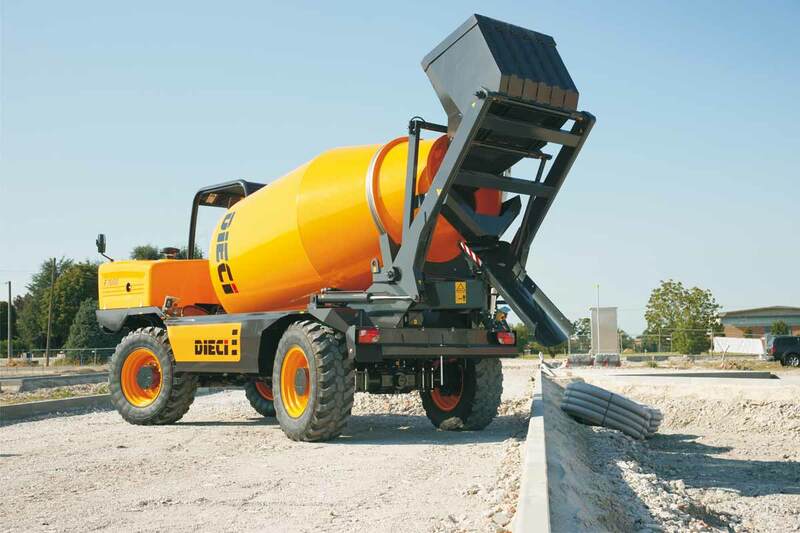 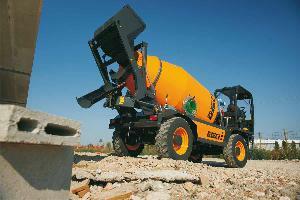 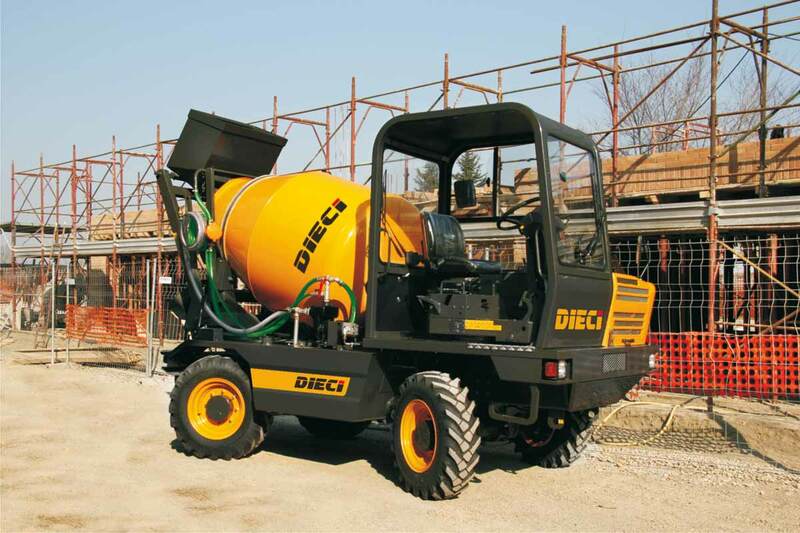 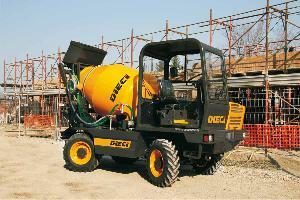 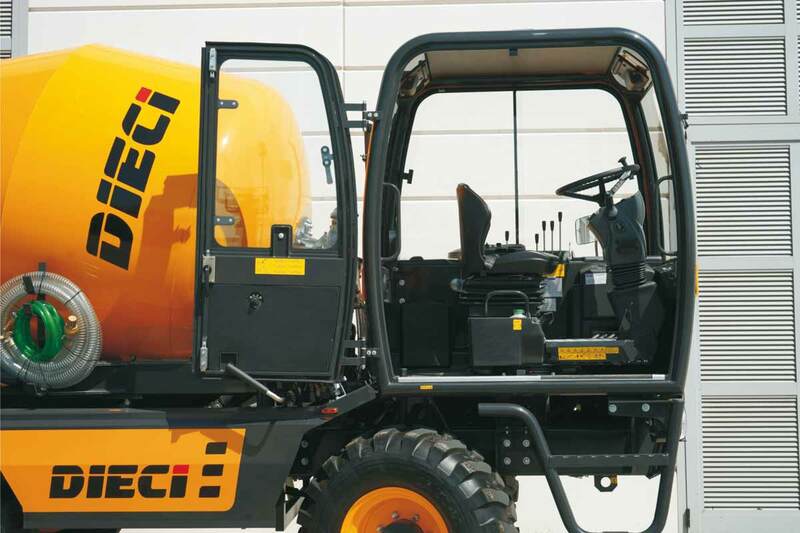 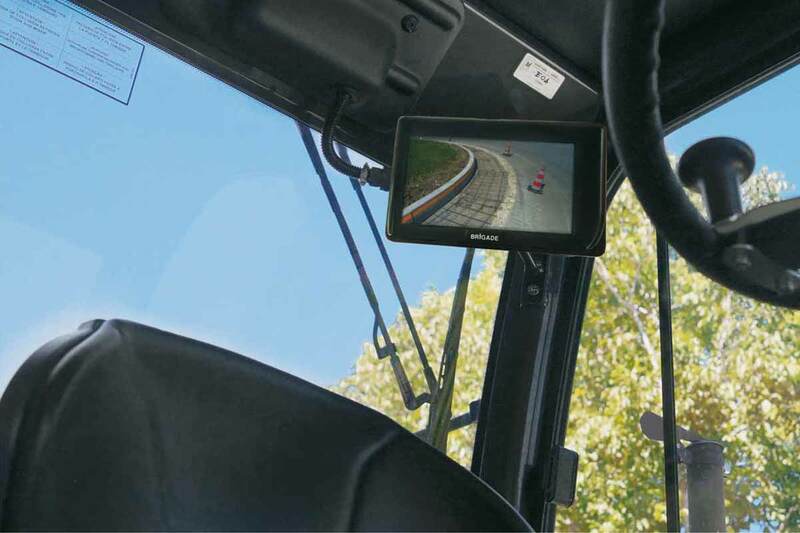 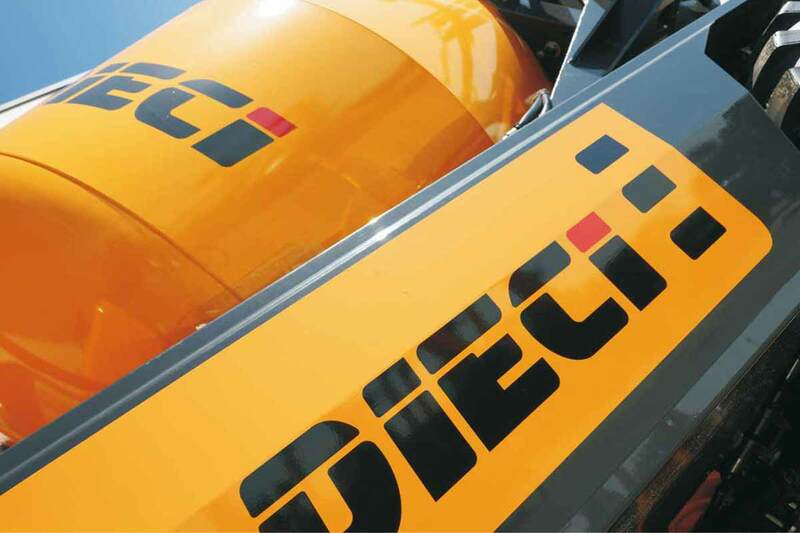 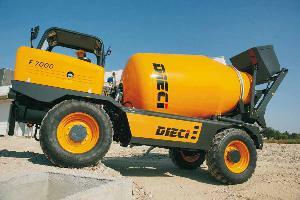 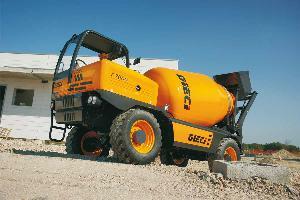 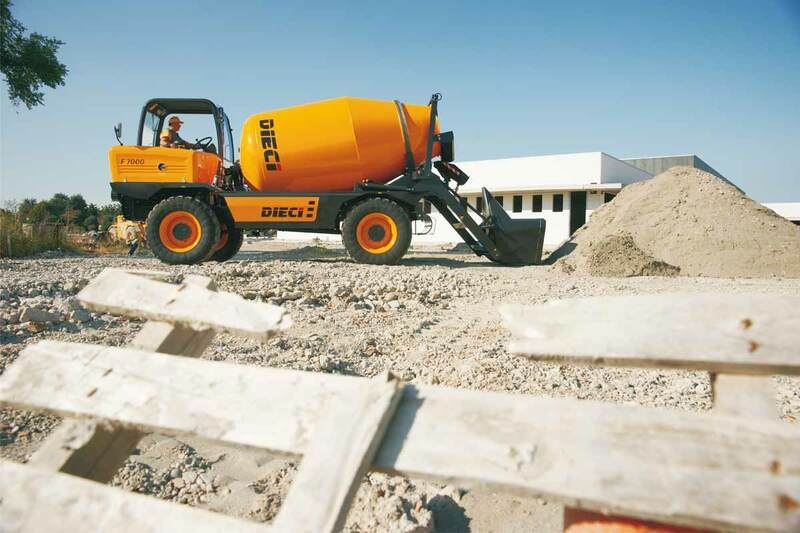 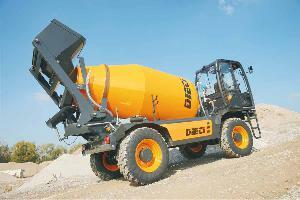 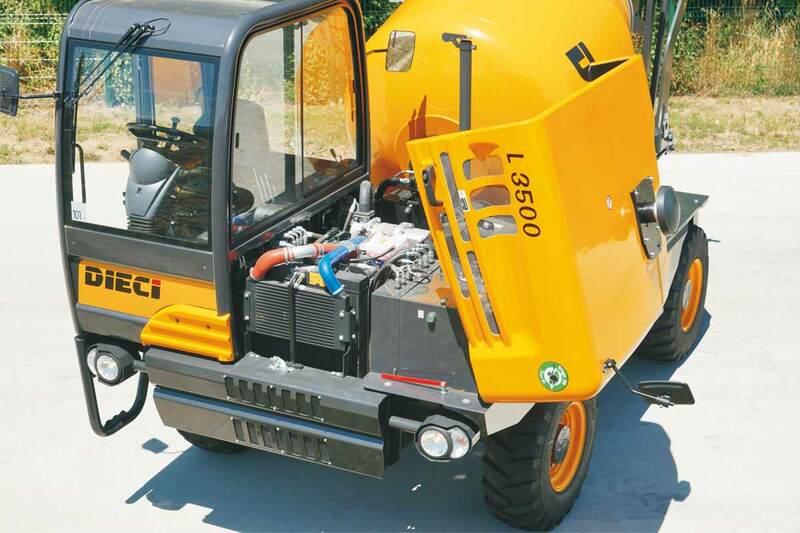 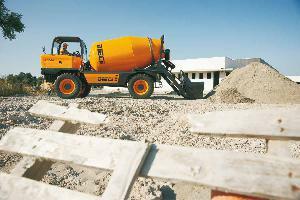 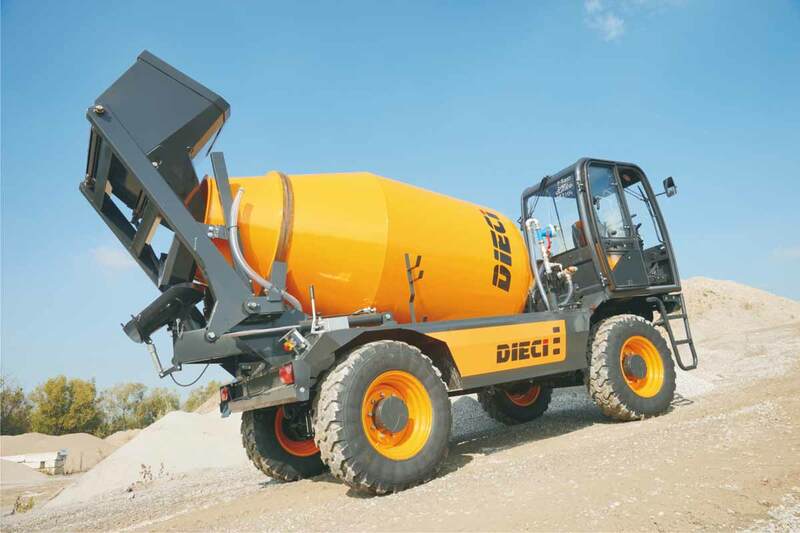 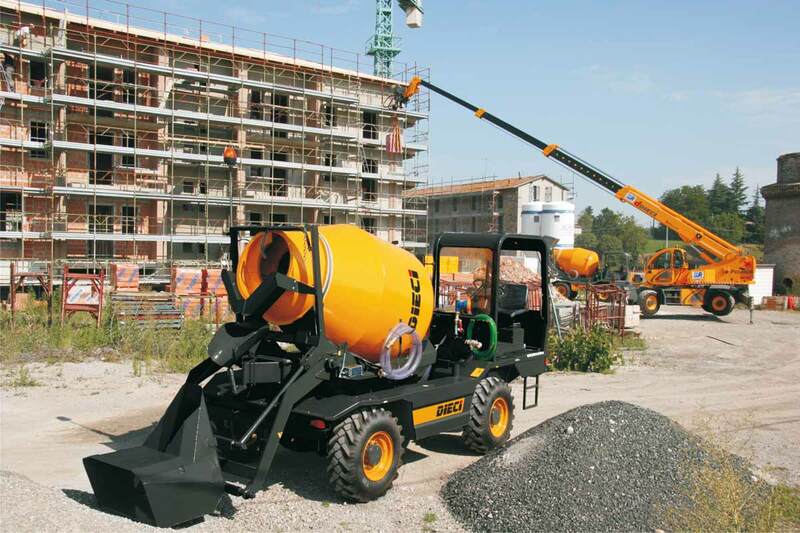 The Truck mixer F7000 is the greatest model of the DIECI Truck mixers series. Specifically designed for heavy and intensive use. 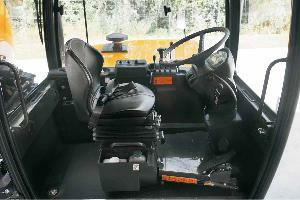 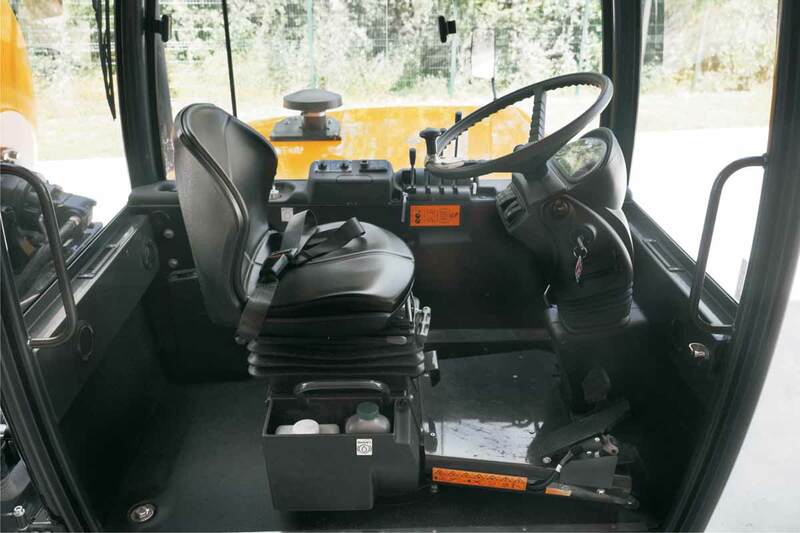 The vehicle is equipped with front self-locking Axle, servo-controlled 2 speed transmission gearbox, hydrostatic transmission, 4 driving and steering wheels with braking on all wheels, oil-bath disc brakes, discharge chute adjustable in height and with 180° rotationThe proven design of the spiral blades allows homogeneous mixing in all sectionsThe high thickness of the steel used for the mixing drum ensures its dimensional stability and long lifeThe cab, already at the top for ergonomics, comfort and safety devices, is ROPS-FOPS approved and equipped with reversible driver’s seatIt can be equipped with electronic weighing system with printer, high-pressure washing pump, closed soundproof cab with heating.